Here is the homily given Sunday by Bishop Kevin Doran for the 2015 National Novena to Our Lady of Knock, which is underway through Aug. 22. Giving thanks is a central theme in the writing and preaching of St. Paul. I think it comes, in the first place, from a deep down sense of gratitude for everything that God has done in his own life and especially for the experience of the Risen Jesus. Today, St. Paul encourages us, “always and everywhere” to give thanks to God. It is not just a formality or a routine, but an attitude and – as Paul knew well – that attitude of gratitude sometimes had to be lived in the face of adversity. Last week, I was away on holidays and I was already preparing remotely for today’s Mass, so the words of St Paul were fresh in my mind. I was hiking along a forest path one of the days and I had a rather nasty fall. It started as a stumble but I went down hard on a rough surface. My first reaction, I can assure you, was not one of thanksgiving. There were cuts and bruises and a tear in the knee of my trousers. As I gathered myself, however, I realised that there were no bones broken. My mobile phone wasn’t broken and my glasses were still in one piece. “Thank God”. What else can you say? Paul’s difficulties were on a different scale altogether. In his work of proclaiming the good news about Jesus Christ, he was beaten, shipwrecked and imprisoned many times, but he remained grateful to God who, as he says, gave him the victory through Our Lord Jesus Christ. Today and during the whole of this novena, our focus is on the family and it seemed appropriate to reflect on why we might give thanks to God for the gift of the family. Very early on in the Bible, the beginnings of faith in a creator God are very closely linked with the idea of family. The account of creation in the Book of Genesis is not meant to be history. It is really a proclamation of faith in a God who made all things good and who, as part of this created man and woman in his own image. This ancient profession of faith includes the idea that, as part of their own mission, man and woman were to share with God in passing on to their children the gift of life and love. It was not, of course, without its struggles and its failures. The account in Genesis leaves us in no doubt that failure and recrimination and fighting among the children were part of the experience then as they can be in our own families today. But that doesn’t take away from the original goodness of God’s gift of family. Today, as we give thanks to God for the gift of the family, it may be helpful for us to unpack that gift more concretely. What exactly does Pope Francis mean when he talks about the family as the “first school where we learn to appreciate our talents and those of others, and where we begin to acquire the art of living together”? It begins with the love of a man and a woman which, in the beginning, may be very provisional and uncertain. Gradually, with God’s help, it matures into a commitment which allows them to take risks and make sacrifices for one another. Many of you know from your own experience what it means when someone is ready to stand beside you and to say “I take you as my husband and I give myself to you as your wife, for better or worse, for richer or poorer, in sickness and health, all the days of our life.” You know that you can’t make it work on your own; it requires the talents of both husband and wife. You know too that this kind of commitment involves a certain amount of letting go, adapting, sharing of space and time, dreams, hopes and fears. These days we can be very casual about “moving in together”, but those who know will tell you that it can be quite challenging to share a home and a life with another person, however much you love them, because their habits and routines and expectations will be formed by their own experience, just as yours are formed by your experience. So today we give thanks to God for the energy of first love and for the reliability of mature love and for the way in which his Spirit supports men and women in their journey of love and commitment. It is part of God’s plan that children are born into a family in which the love of a mother and father will give them confidence that they too are loved. In the beginning of course, children can get the idea that the whole world revolves around them and I suppose that can be a particular challenge with a first child. Children need to know that they are loved uniquely but not exclusively. When Pope Francis talks about how we are challenged in the context of family to “develop our full capacity for virtue and charity”, he is talking about very practical things like sharing, helping, caring and forgiving, which children learn from their parents and also from one another. In the face of economic difficulties, it can be very difficult for parents to provide for the material needs of their children and, as we have been reminded in recent days, there are children in our society who live and sleep in very inadequate situations and who go to school hungry in the morning. It should not be beyond our capacity as a developed nation to resolve these challenges and we each have our part to play. Just as society depends on the family for its coherence, likewise society has a responsibility towards the well-being of families. Come Children and Hear Me! 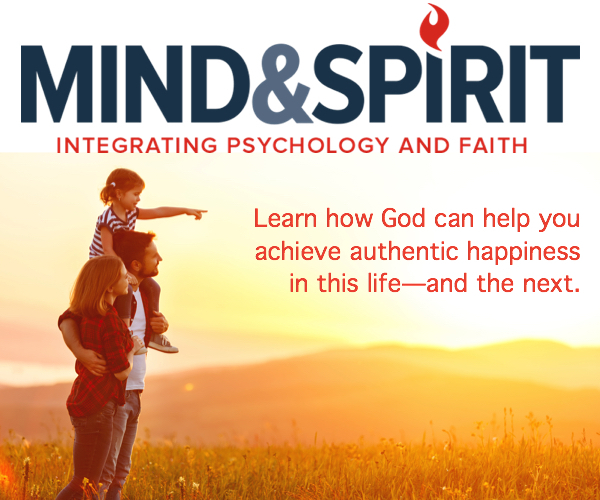 These days, however, I think it may be an even greater challenge for the majority of parents to provide for the emotional and spiritual needs of their children. Children, who soak up almost everything that is going on around them, are not immune to the insecurity which is so much a part of our world today. It is a great blessing for children to have parents who love and respect one another; parents who have the gift of listening and responding honestly to the questions their children ask. So today we give thanks for both the curiosity of children and for the wisdom and patience of parents, and we pray that, as they journey together, they may all grow together. While I was on holiday, I had the opportunity to visit the great Cathedral at Chartres, which is currently being restored. (I think it will take a bit longer than the Basilica here in Knock). I paused for a few moments at the Blessed Sacrament chapel and I was fascinated to see two little children, kneeling on the step in front of the altar. They couldn’t have been more than three or four. They were praying away and, as I watched, the two of them bowed low in an act of reverence. I wondered where they learnt to do that. As they straightened up, I noticed that one of the little girls glanced over her shoulder and I followed her line of sight. Sure enough, over to one side of the chapel was a man who was clearly their father. When I saw him and his own posture in prayer, I realised that the children were imitating him. In our psalm this afternoon we prayed, “come children and hear me, that I may teach you the fear of the Lord”. “Fear of the Lord” of course is not meant to mean that we are frightened or terrified but that we have what the children nowadays call a spirit of “wonder and awe in God’s presence”. Bowing low in reverence may not be your particular way of praying, but there is no doubt that the body has a part to play in prayer and I think children do have a sense of that. The point, however, is that, our families are, among other things, schools for prayer. It is in the family that children first learn to bless themselves. I am reminded, too, of a suggestion made by Pope Francis in his recent encyclical on the environment, that the tradition of praying grace before and after meals. We are not all the same, of course, and our families are not all the same. In presenting the ideal, it is important not to forget or to deny the real. As a child growing up, I thought my parents were the best in the world – and they were in many respects. But, as an adult, I came to understand also that were only human like the rest of us. In some ways that only made me love them all the more, because by then I also understood some of the struggles they faced. I’m not sure that there is any such thing as an ideal family. Every family has its limitations and many families today face particular challenges due to poverty and unemployment, ill-health or disability, the absence of a mother or father for one reason or another. Sometimes we might ask ourselves what there is to be thankful for. But, if we look a little closer, we see the courage and generosity of people who, even under very difficult circumstances, continue to live faithfully and to care for one another. It is part of our mission as Church to support them in whatever way we can. 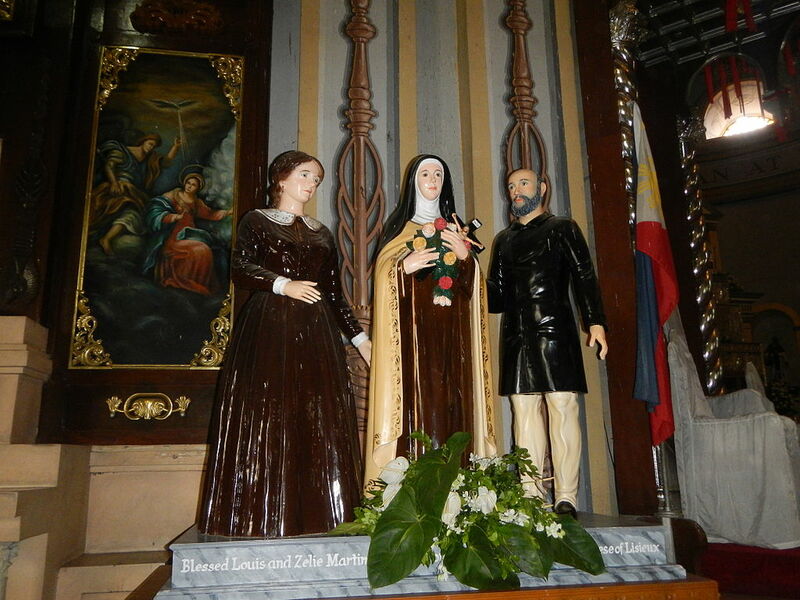 Some of you may already have heard me speak about Louis and Zélie Martin, the parents of Saint Thèrese of Lisieux. They will be canonised saints on October 18th, the first married couple ever to be canonised together in the history of the Church. Try and forget for a moment that they had a daughter who was a saint. We’ll come back to that. In many respects, they were very ordinary people. I had the opportunity recently to visit their family home in Alençon and to visit the parish Church where they were married. Zélie was a lace-maker by trade. Louis was a watch-maker. They both had aspirations to enter religious life, but that didn’t work out for either of them. In the eyes of the world, it might appear to have been a failure, but it seems that God simply had other plans for them. They married after a fairly long engagement and they very specifically dedicated their marriage to the service of God. This was expressed in prayer, in service to the poor and those in need, and particularly in their care for their nine children, all girls. Four of the girls died in childhood and, while this would not have been unusual in those days, it was a source of great sadness for them, as it is today for many parents of children who are sick. Zélie herself had had a difficult childhood and her mother seems to have been rather hard on her. Perhaps it was because of this, that Louis and Zélie were determined that they would have fun with their children. Their home seems to have been a very happy one, with none of the harshness that sometimes accompanied religion in those times. Zélie prayed that her children would be saints and that she herself would follow them closely. I’ve seen that in her own writing. At one stage, when her workshop was particularly busy, Louis gave up his business in order to support her, becoming effectively a house-husband. He was also very actively involved in the recently established Society of St. Vincent de Paul. Zélie developed cancer and died quite young, leaving Louis to care for their younger children. He too experienced bad health in later life and spent long periods in hospital. In the face of these and other difficulties, they never lost faith in the goodness of God. Five of the Martin girls became religious sisters; four became Carmelites and one a sister of the Visitation. Apart from Therese, who died at the age of 25, the others seem to have lived long and fulfilled lives right up to the middle of the twentieth century. By any standard it is quite remarkable. It seems to me that the married life of Louis and Zélie Martin is a particular reason to give thanks to God for the gift of the family. They are a real live example of how a normal hard-working man and woman can find the path to holiness in married life and can encourage and support their children following that path in their own lives. People sometimes say to me: “It’s not an easy time to be a bishop”. Perhaps not, but this is the only time I have. In much the same way, for all the advantages of modern technology, it is certainly not an easy time to begin married life or to be trying to raise children. Maybe there never was an easy time. On the other hand, our world needs the example and the encouragement of faithful married love today, as much if not more than it ever did. The Synod of Bishops which takes place in October, is intended to explore how the Church can support people in living family life in the spirit of the Gospel. I invite you all during these coming weeks to pray particularly that the Spirit of God will guide the bishops and those lay people who will be present with them. Meanwhile, this afternoon, I give thanks for the hundreds of young couples all over Ireland who, right now, are preparing to make the commitment of Christian Marriage to one another. May Louis and Zélie Martin be an example of courage and of faith to them. May their love grow stronger day by day, so that it becomes a visible sign of the love of Christ in the Church and in the world.